don't miss out on this amazing event... AT an amazing place! IABC's goal is to connect and inspire each other through events and professional development programmes, and by sharing best practices. IABC is proud to present the inaugural edition of its Regional Conference for business communicators in Asia-Pacific region. 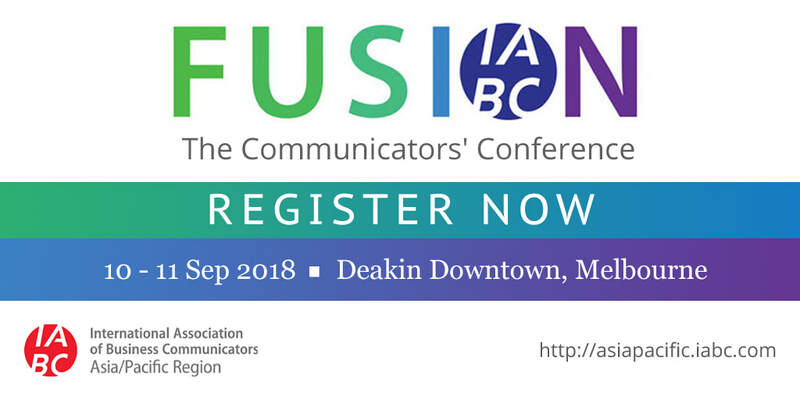 The theme of our conference is – FUSION: The Communicators' Conference. Asia-Pacific is one of the most culturally and geographically diverse regions in IABC. Our goal is to Connect Communicators across the APAC region and the world to inspire, create connections, foster best practices, and promote leadership in the communications profession. The Conference will feature two days of inspiring keynotes and best-practice sessions by domain experts and industry leaders. RESERVE A SEAT NOW !! !